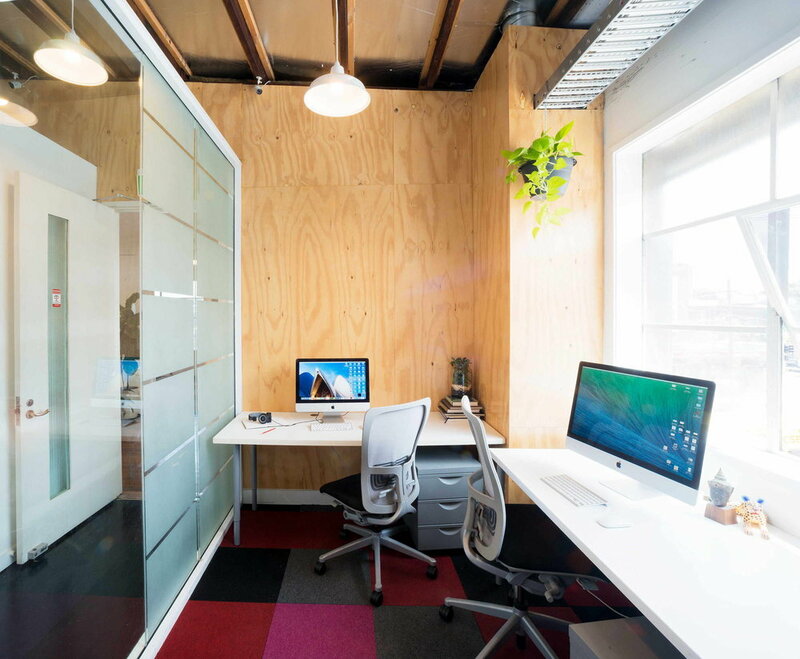 The Roller Coworking is housed in a mid 20th century warehouse on the Rosebery/Zetland border, close to the ever increasing amenities of Green Square. The eclectic interior is fitted out with props and artworks gathered over last 10 years. 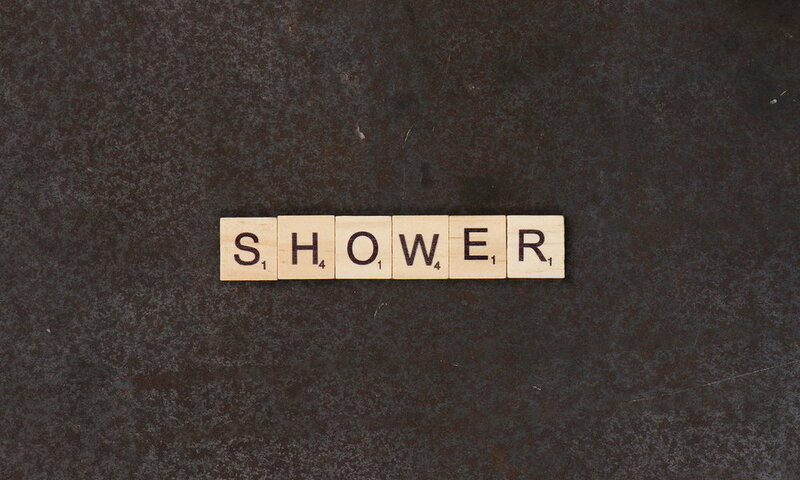 Currently hosting various creatives, The Roller is always keen for more like minded people to join the existing tenants. With over 12 years experience creating co-work spaces, we have created a calm and friendly space with plenty of business collaboration opportunities. The boutique coward space has various places to work and relax in. It is a relaxed community of freelancers, creatives and businesses based in separate offices and at open plan desks. The Roller’s warehouse interior offers everything you would expect from a high functioning co-work space while having charm, creative character and artistic style. 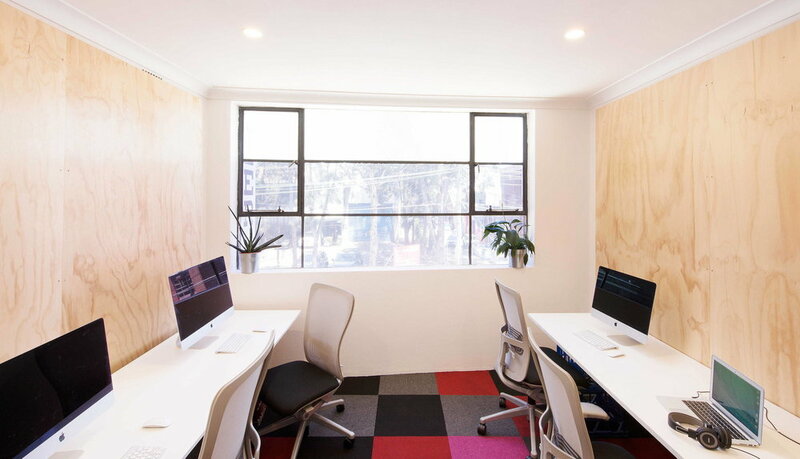 The fitted out offices (suitable for 3-5 people) and desks all come with super fast internet, printer, kitchen facilities, meeting room, twice weekly cleaner, bathrooms with shower, shelf storage and some lockable space for valuable gear (cameras etc) if required. Tenants have 24/7 secured access and the space has security cameras for peace of mind. There is a bookable photographic studio at The Roller also, adding to the variety of environments in which to relax, make calls or work away from your desk for a change of scene. This laid back co-working space is dog friendly if you want to bring your pooch with you to work, has indoor bike parking if your commute involves pedalling and has a friendly hum of activity with music playing from the 1950s TV (by way of Spotify- you can be free to DJ). 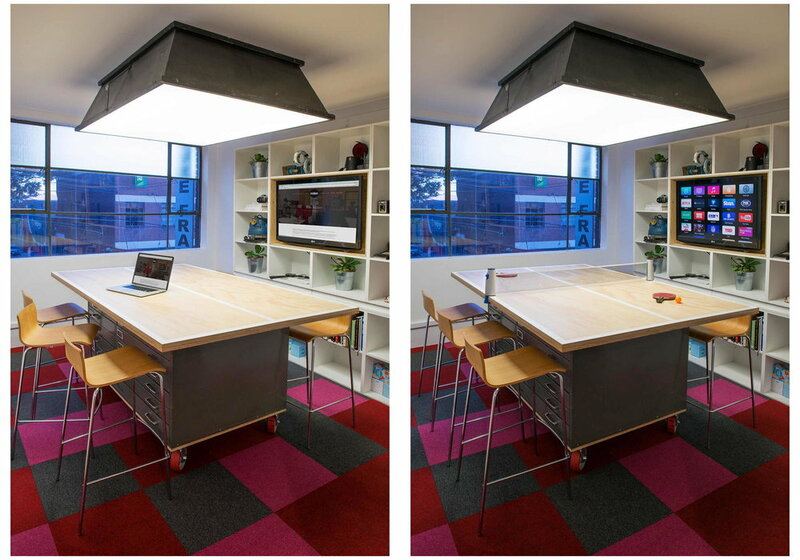 The meeting room doubles as a ping-pong arena so there is ample opportunity to break off from working to get your table tennis skills up to scratch. The current community includes photographers, video production, marketing agencies and software services. Being a small co-work space, tenants get to know each other but there is no forced networking and while the fit out meets high professional standards, it feels comfortable and homely and very relaxed. 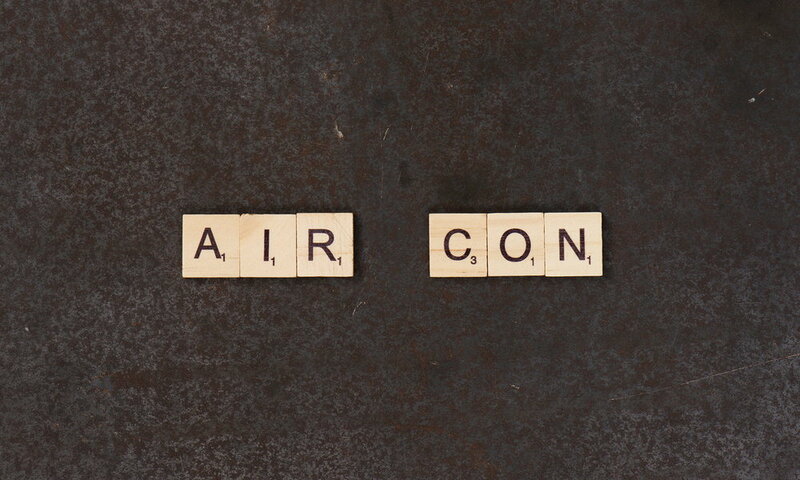 We are located in a fantastic mid-century warehouse building which oozes 1950s character. Flexi desks, or desks with flexible terms are a very affordable co-working solution for the freelancer who wants all the benefits of working in a co-working, shared office community. 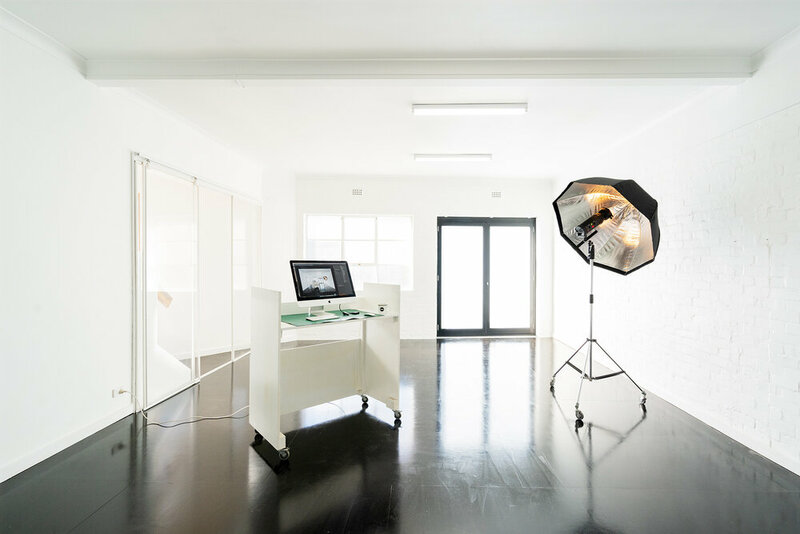 Unlike many coworking spaces, we have a fully functioning 70 square metre photography studio that is suitable for video as well. It is available for our tenants to rent out at less than market rates. If your dog is friendly, we're a dog-friendly office. Bring your pooch to work. We love co-working dogs. Music plays on our mid-century TV/Spotify machine. As a creative coworking space, we like tunes playing in the background. We encourage anyone who wants to be the DJ.